AK-47’s have been around since Mikhail Kalashnikov spent 1946 to 1948 perfecting their design. 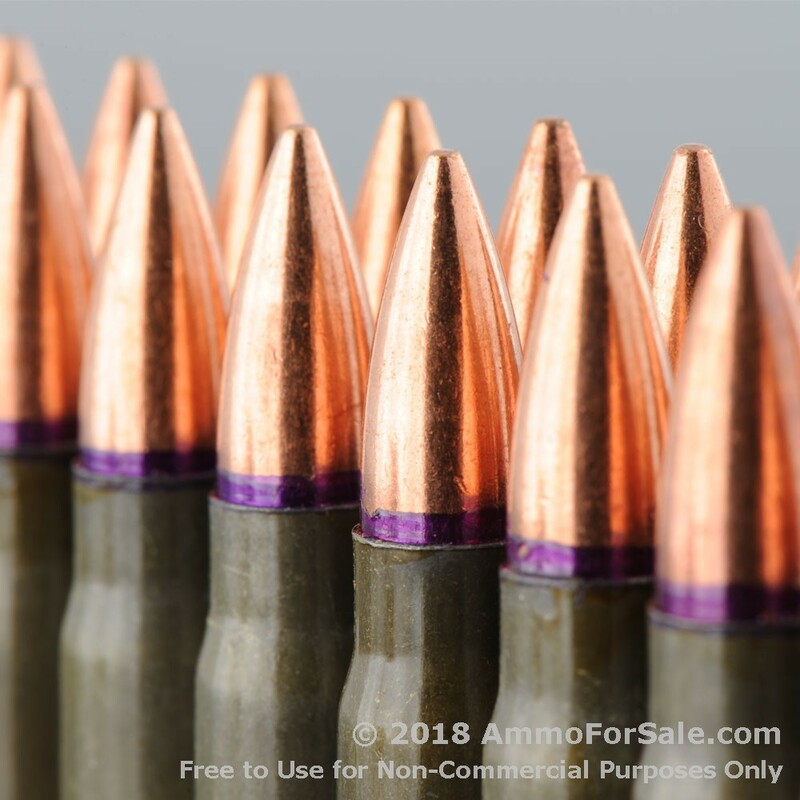 At first they were used exclusively by the Soviet Army, but decades later they’re used and favored by many firearms owners around the globe. It was created to be a simple, dependable rifle that could be affordably produced. In fact, they’re so popular there have actually been more AK-47’s produced than the sum total of all other assault rifles. If you want to stay true to your rifle’s Russian heritage, why not feed it rounds from its home country? 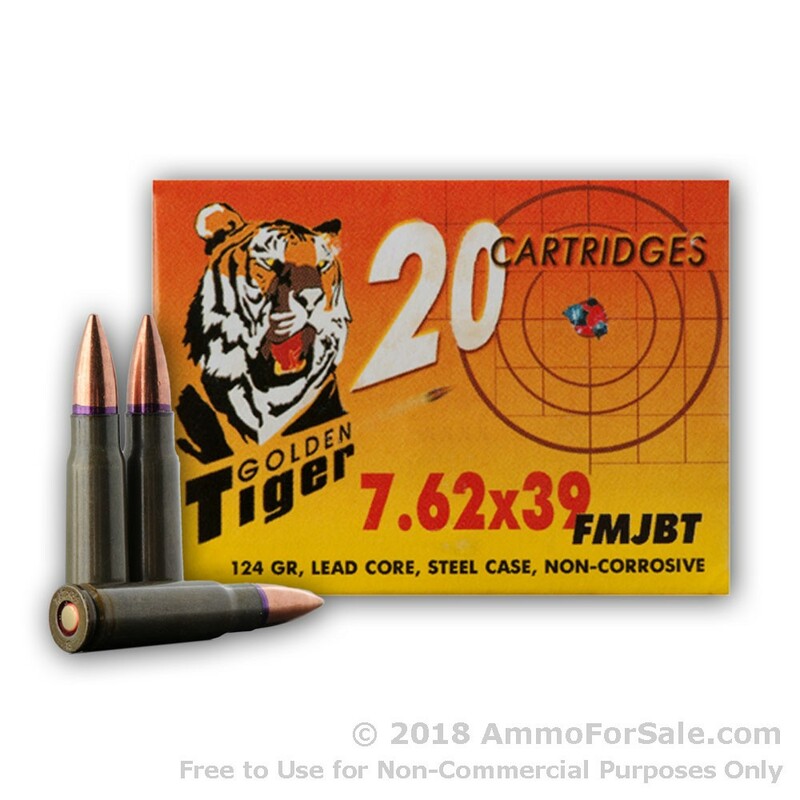 Golden Tiger Ammunition is produced in Russia under the umbrella of Vympel IIRC. 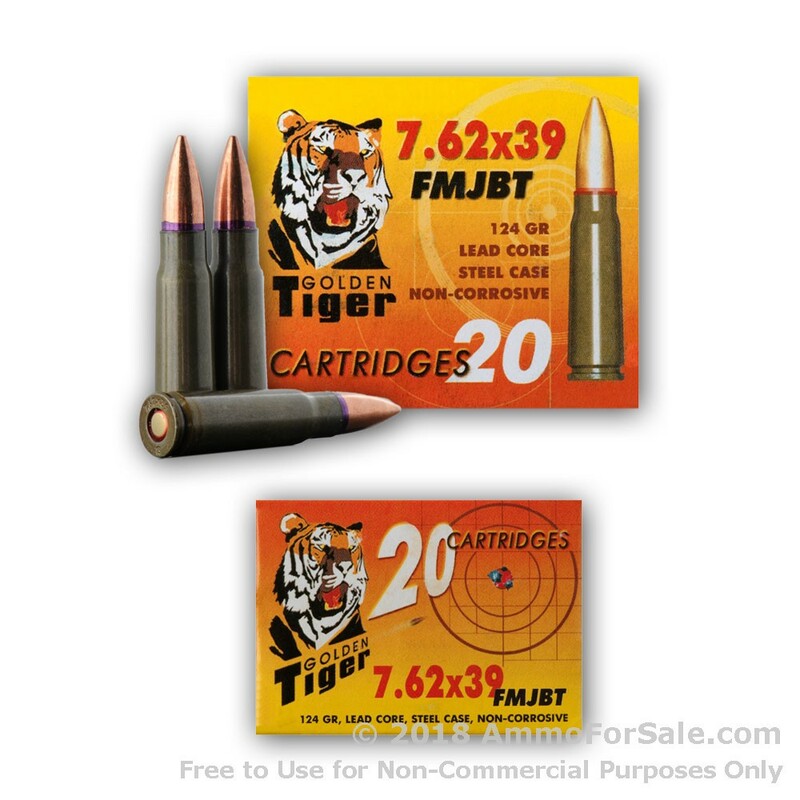 They were founded in 1976 and focus on hunting cartridges and military cartridges, such as these. Although they’re currently the youngest ammunition company in Russia, they’ve gained a reputation for their use of cutting-edge technology; sources say they have the most state-of-the-art plant in the entire country. 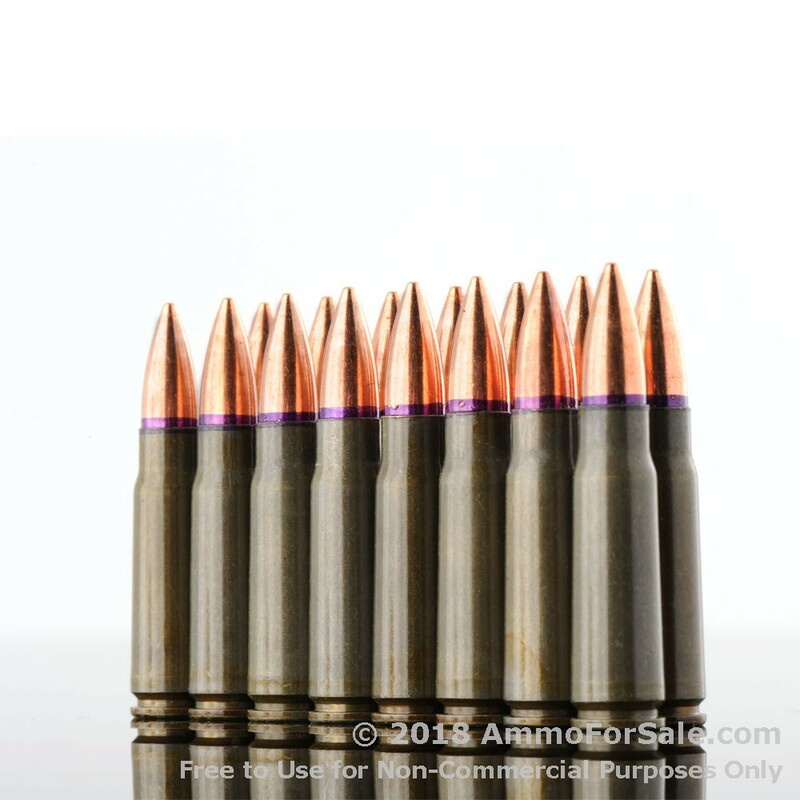 They’re known for manufacturing good quality ammunition at great prices, and these 7.62x39mm rounds are yet another of their triumphs. 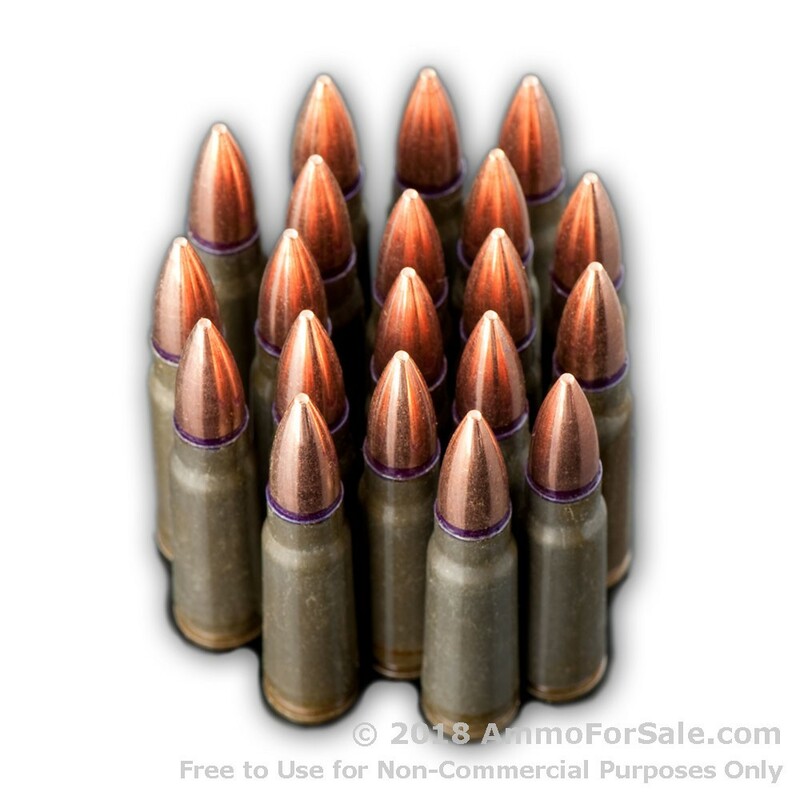 You expect your 7.62x39mm chambered rifle to deliver speed and raw power, and these lightweight 124 grain rounds have velocity to spare. They have a muzzle velocity of 2,396 feet per second and you can be sure they make a lasting impression on your targets. 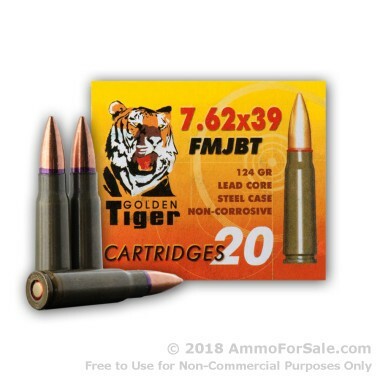 They’re FMJBT rounds, so they’re best for target practice and plinking, and their boat tails make them a nice choice for honing your distance skills. 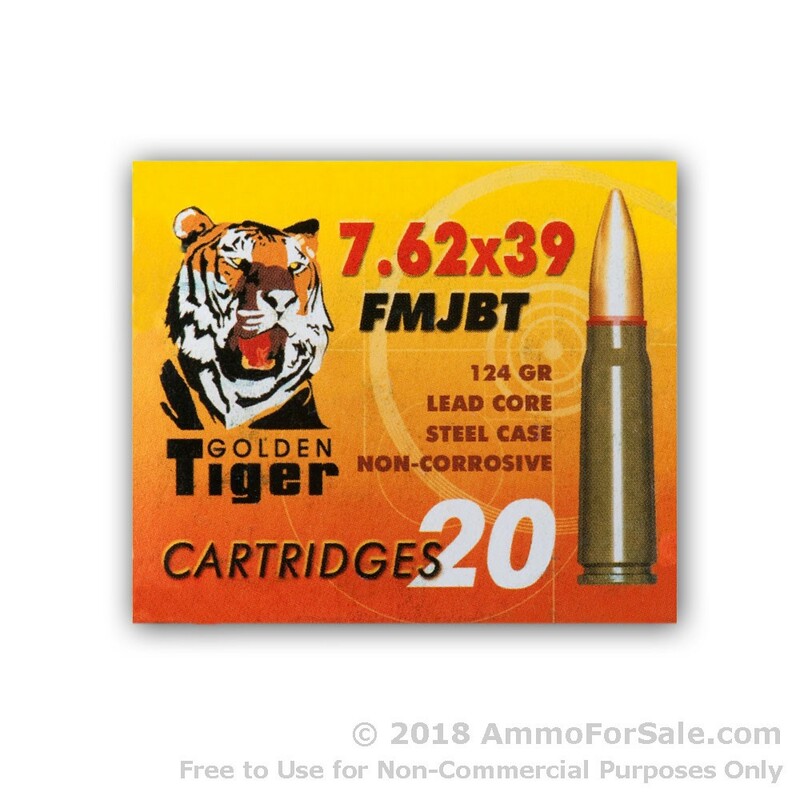 Golden Tiger saves you money by producing them in steel-cases using berdan primer and makes sure they’re non-corrosive to go easy on your gun’s barrel. And with 1,000 rounds in this box, that’s a good thing, because your barrel will be busy and warm for awhile.